Arnold Clark have about a dozen Hyundai ix35s in stock, all pre registered for between £17,988(White)and £18,488(silver or black). Only the colour costs the difference. Decent specs with Sat nav, rear parking sensors, heated seats front and back, Bluetooth, all round electric windows and it even comes with 4 alloy wheels. No trikes here. Unfortunately this isn't a lease, a rear wheel drive BMW 3+ years older or any other example of bangernomics. It's about a £3,500 saving over new list price for a car showing someone else as new owner and 10 miles on the clock. If you think there are better deals for a similar style car with lots of boot space, high headroom and a sect spec please share. Saving is poor for an undesirable brand. You forgot it's not got 4x4, eurgh diesel, it's made from bits of Lego, why not a Mercedes and does it blend. Nice cars, my mate has one. Great kit included, just a shame its not the Premium or Premium Panorama for keyless entry. Nice cars, my mate has one. Great kit included, just a shame its not the … Nice cars, my mate has one. Great kit included, just a shame its not the Premium or Premium Panorama for keyless entry. The keyless, full leather and Xenon headlamps would have been nice but they just didn't have any. The panorama just steals headroom. The link doesn't work properly. Can't find it on the website. You forgot it's not got 4x4, eurgh diesel, it's made from bits of Lego, … You forgot it's not got 4x4, eurgh diesel, it's made from bits of Lego, why not a Mercedes and does it blend. I mentioned lease in the OP. Sorry I did miss dealer ability and shadiness, will you forgive me? You forgot. ARNOLD CLARK, run for the hills. Lots of headroom... Mmmmm great if your a helium balloon salesman or going to a wedding wearing a top hat but prety useless for anything else you might want to transport. My folks have a top spec i40, pretty good looking thing with lots of kit buts it's always going wrong and not a patch in build quality on any of our vag group cars. They are looking to change but as it's a hyundi the residual is carp and as such the only thing they can get a decent trade in price against is another hyundi. I told them to buy the passat cc instead, lesson learned. The only good thing is the warranty - just as well. I mentioned lease in the OP. Sorry I did miss dealer ability and … I mentioned lease in the OP. Sorry I did miss dealer ability and shadiness, will you forgive me? Do I own the car at the end? Don't bring Lego into this! Currently kicking the **** out of a 17 year old 1.5 Accent I've had for 3 years, it refuses to die! My mate has one on hire whilst his 3 series is being worked on. Not been in it myself but he said is isn't anywhere near as s**t as he thought it would be, in fact he was quite impressed with the amount of kit even with the hire car budget spec. He's not used to being overtaken though which happens a lot in this. Lots of headroom... Mmmmm great if your a helium balloon salesman or … Lots of headroom... Mmmmm great if your a helium balloon salesman or going to a wedding wearing a top hat but prety useless for anything else you might want to transport. My folks have a top spec i40, pretty good looking thing with lots of kit buts it's always going wrong and not a patch in build quality on any of our vag group cars. They are looking to change but as it's a hyundi the residual is carp and as such the only thing they can get a decent trade in price against is another hyundi. I told them to buy the passat cc instead, lesson learned. The only good thing is the warranty - just as well. I have legs like stumps but a body as tall as a Globetrotter. So unlike some salesman nonsense I do make use of the headroom. We did consider estates but some have headlinings that mean I need to recline the seat or stoop. Which was another reason I didn't look for a panoramic roof. Headroom, boot space and high driving position. Also you don't need 4x4 in most UK snow. Instead do what I do every winter and put on a set of winter wheels and tyres. That way I save fuel from not having 4x4 weight to drag about, spread wear on my tyres and save money from buying 4x4 running gear. the boats that deliver the BMW's are prob made by Hyundai. Cant be that bad if BMW trust them to ship their cars all over the world. Have had my ix35 1.7d for over a year and it's my 2nd favourite car I've driven. Really comfy to drive, light on the steering and economical if I use Shell diesel. Headroom, boot space and high driving position. Also you don't need 4x4 … Headroom, boot space and high driving position. Also you don't need 4x4 in most UK snow. Instead do what I do every winter and put on a set of winter wheels and tyres.That way I save fuel from not having 4x4 weight to drag about, spread wear on my tyres and save money from buying 4x4 running gear. 4x4 makes sod all difference when you're not trying to make up a 1/10th of a second on a rally stage. Only outcome in the snow and ice is you'll be going faster when you do eventually lose control. So I'd say that's no advantage at all. Thanks OP, bought three and one for the kid on the way. It's a diesel obviously, so only worth it if you do enough miles. Diesels costs more to buy, the fuel costs more and they cost more to repair when they go wrong. Not sure about the BMW but I'll take a Hyundai over a Skoda,Seat,Ford,Vauxhall,Fiat,Renault,Peugeot,Citroen,etc any day.they are well built,well engineered and great quality,good looking cars unlike most of the mentioned makes. Currently kicking the **** out of a 17 year old 1.5 Accent I've had for 3 … Currently kicking the **** out of a 17 year old 1.5 Accent I've had for 3 years, it refuses to die! The keyless, full leather and Xenon headlamps would have been nice but … The keyless, full leather and Xenon headlamps would have been nice but they just didn't have any. The panorama just steals headroom. I have the full glass roof version, I am 6,2" plenty of headroom above me. My son is 6,5" still plenty of headroom for him, good car by the way. I suppose those spending £14k on a 3 door vw bluemotion polo feel special because its a vw. Well the reason I mention this is because I got a lift to work in one today, a 1L petrol which my mate bought for his wife at just shy of £14k. Unbelievable how gullible people are to brands, the car is never worth anything more than £10k, to think what you can get for that. There is almost zero room in the back and he averages 57mpg on this one litre engine. I do wonder how vw still manage to sell them new...,.in comparison this seems like bargain of the year for what you get, and I know these can average mid 40s mpg. Build quality is terrible, expect it to make several trips to the dealership under warranty with loose parts and poorly manufactured parts. How long did you own yours for? Was only commenting how poor a journalistic piece it was by Watchdog to someone yesterday. 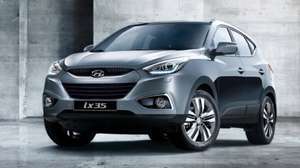 Hyundai were singled out initially the previous week, but then it became evident as a deluge of complaints from owners highlighting that the same happens to many models from many manufacturers. They even had to get someone on from the SMMT to defend motor manufacturers as a whole.